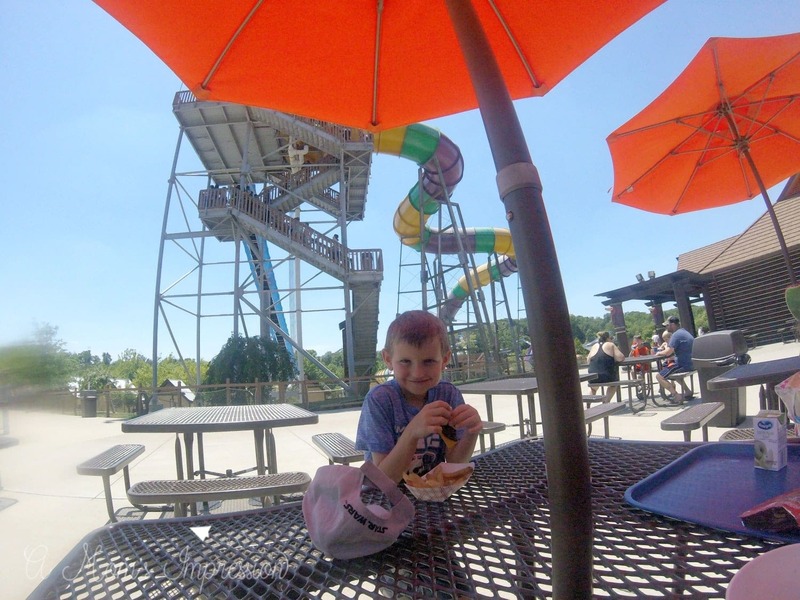 Thank you to Holiday World and Splashin’ Safari Water Park for hosting my family for the weekend. When I told friends and coworkers that my family was going to Splashin’ Safari, I was consistently told that it had recently been voted one of the best water parks in America. Literally, every person that I mentioned this water park to, let me know how great it was. This is without exception. So I went into this experience with pretty high expectations and prepared myself to be a little underwhelmed. Let me go ahead and spare you the suspense, my expectations were blown out of the water (pun intended)! There were three main things that I continued to hear about Splashin’ Safari: free soft drinks, free sunscreen, and how clean the park was. All of these things were true and these really were the basis for such a pleasurable experience. But there was also so much more that we really loved. As a companion park to Holiday World, I was a bit concerned about the logistics of changing clothes, storing valuables, etc. 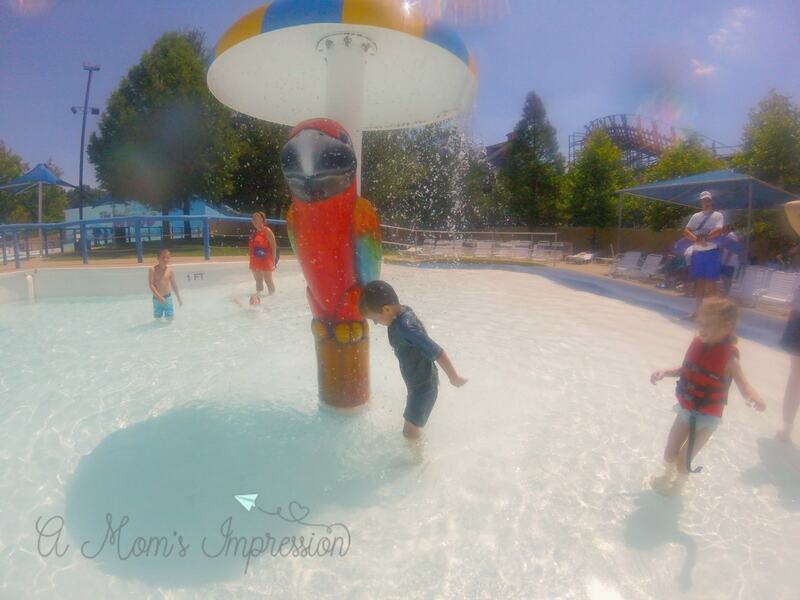 The first gem we discovered at Splashin’ Safari was the lockers that they have. We were able to rent out one of their large lockers that had plenty of space for a family of four’s belongings. The way the lockers are set up is brilliant. You are given a wristband that you scan at the locker stating and your locker simply opens up for you. No key or code to remember. All family members can have a wristband in the inevitable event that you may all be going your separate ways during the day. By the lockers are the changing rooms. Here is that word again that I am going to say a lot in this post: Clean! I was very impressed with the cleanliness of the locker rooms and there were plenty of private locker rooms for daddy/daughter and mommy/son combinations or if you just want a little bit of privacy. 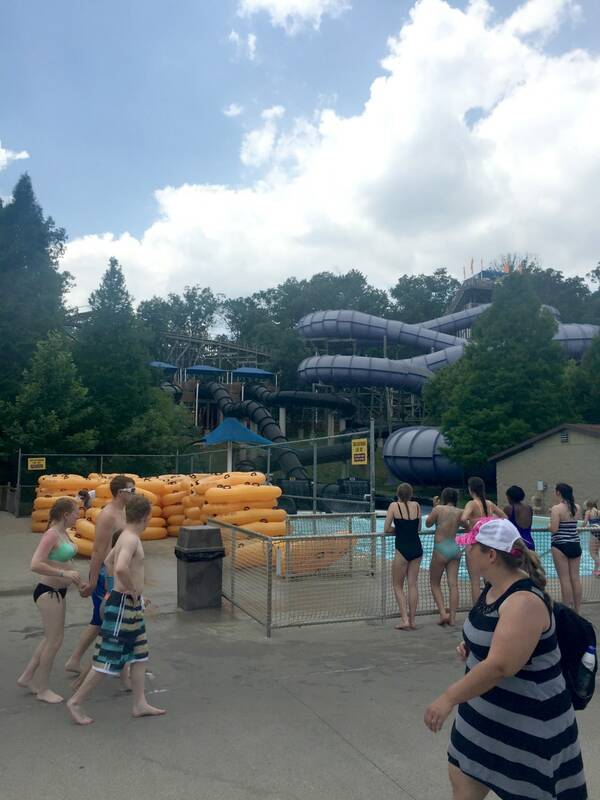 The water park opens up an hour after Holiday World opens up. The lockers/changing rooms aren’t technically in Splashin’ Safari, they are right by the entrance to it. So this gives you plenty of time to get changed and ready as soon as the gates open. This brings me to the free sunscreen. Yes, they have free sunscreen! I was a little curious as to how this would work and it is a pretty simple system. They have stations around the park with huge jugs of sunscreen with pumps attached to the top of them. You just pump and lather, pump, and lather. Repeat as needed. The day we were there, it was 87 degrees and very sunny. My spouse and I are a little neurotic about over exposure to the sun, so having this available to us was really appreciated. It was hot. Very hot. So we didn’t even really need towels. We dried off in about 30 seconds just walking around. The free soft drinks were a key ingredient to our comfort. As a consumer, I really appreciated the fact that Splashin’ Safari could have made so much money off of us selling us drinks (and sunscreen) but chose to give us these for free. When we spoke to a park employee she mentioned that they do this because they don’t want their guests to get sunburned or dehydrated. The drink stations are sponsored by Pepsi, so your options will be limited to those under their “umbrella”. Gatorade is owned by Pepsi, so this was a great option for us because we are not big on carbonated drinks and it tasted wonderful on a hot summer day. The attractions at the park had something for everyone. I have an adventurous 8-year-old boy and a somewhat shy 5-year-old girl. My son and I were able to go on some of the more adult rides, such as the Watubee and the Wildebeest. My son really liked the Jungle Racer, which is 10 slides lined up together and all 10 riders get to race down at the same time. We had tons of fun on that. My wife and my daughter were content taking a lazy ride around the park in the Bahari River. My daughter’s favorite part of the park, by far, was Safari Sam’s SplashLand. This kid friendly section has tons of smaller slides and other fun stuff for the little ones. My son also really liked Monsoon Lagoon. I honestly thought we could have spent the whole day there. Imagine a huge jungle gym with water spraying and splashing around everywhere. There were multiple smaller slides here as well. My son also loved the wave pool, although this made me a bit nervous due to the fact that he still learning the finer points of swimming. However, I was put at ease with a large amount of very observant life guards they had EVERYWHERE in the park. These kids really took their jobs seriously. I never saw anyone gabbing about the weekend or checking phones, the staff was really top notch. You may not know this but Splashin’ Safari is home to the World’s Longest Water Coaster, The Mammoth. In fact, Splahin’ Safari doesn’t have just one Water Coaster, they have two, and they are the two longest in the world! Photo courtesy of Holiday World. 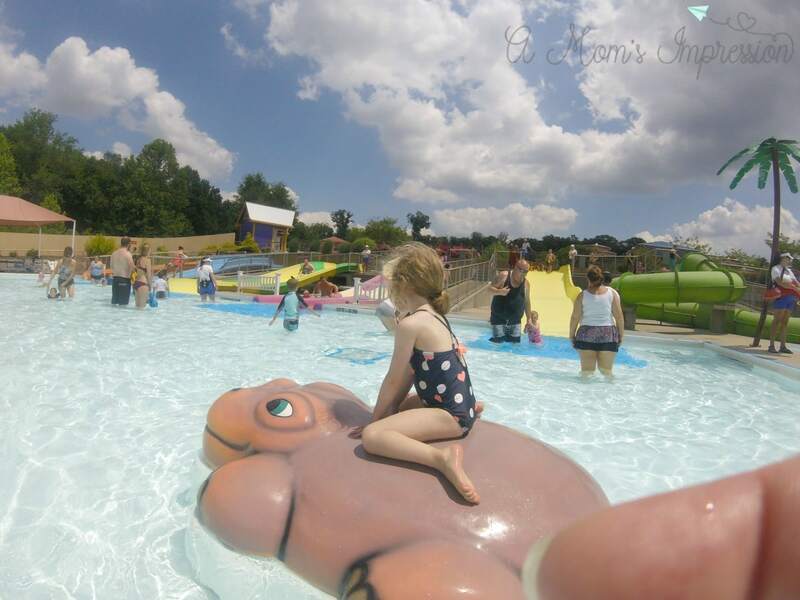 Overall there are 16 different rides and slides at Splashin’ Safari and they have hit every age group so families can all have a good time in the waterpark. As mentioned above, the park was also unbelievably clean. I mean, crazy clean. I knew I would be writing this review while I was there and I really did try to find a reason to say this park wasn’t as clean as everyone had told me it. I simply couldn’t. I never saw a single potato chip laying around, or an empty cup, nothing. When we were eating lunch, I looked around and saw 18 trash cans in the view from where we were sitting. 18! The food was great and not too over-priced. There were plenty of options and, again, free drinks. 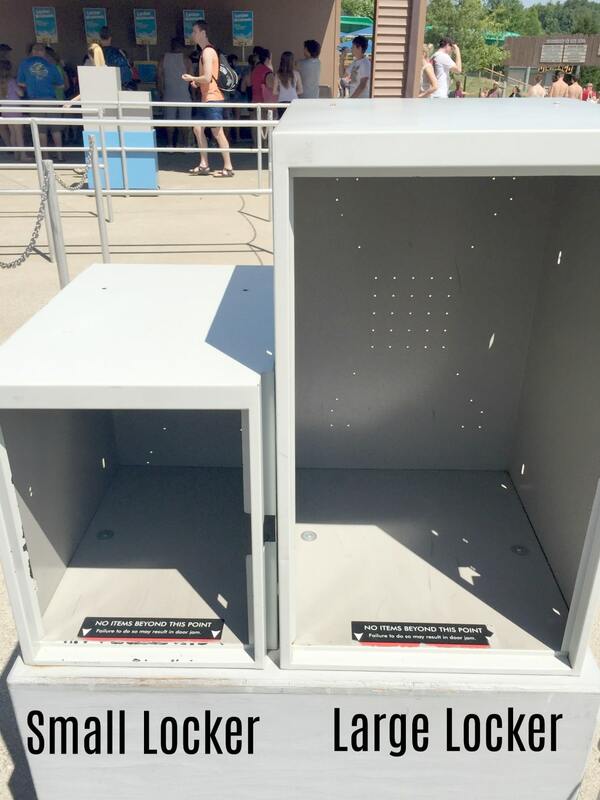 If I really want to nitpick and give the owners some advice, my only suggestion would be to give us some sunscreen stations in the lines for the rides. Yes, there was a big crowd and yes, the lines were pretty long. But there isn’t much the park can do about any of that. But there was a time I was standing in the middle of a long line and realized that I forgot to reapply another coat of sunscreen. I was stuck standing in the sun (the park actually does a pretty good job keeping a lot of their lines in the shade) and got a little nervous about getting burned. 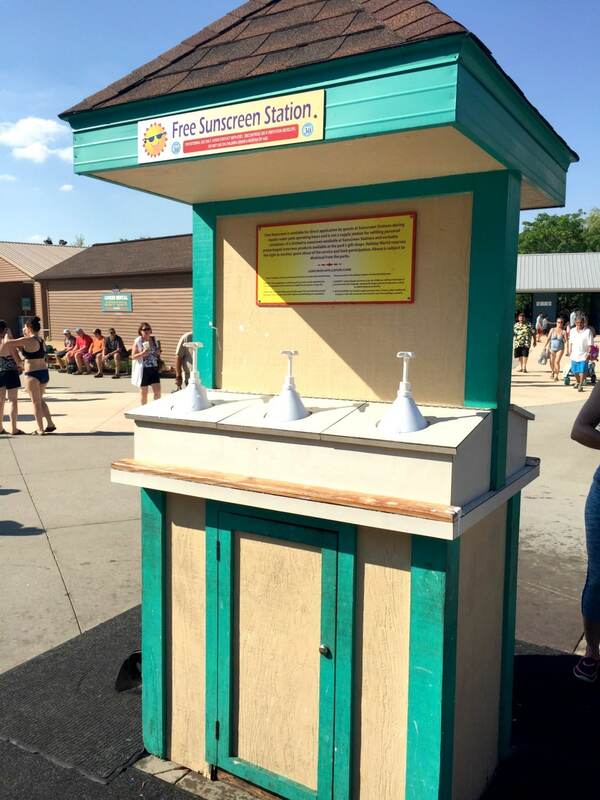 It would be nice to have a sunscreen station (and a drink station) about halfway through the lines. Again, this was the only critique I could give of Splashin’ Safari, that they didn’t give me more free stuff! So I really am stretching here. I want to give this place an honest review and point out some things that may make you reconsider your trip to Splashin’ Safari, I simply can’t do it. All I have achieved in this article is convincing myself that my family needs to revisit this wonderful water park again next year. 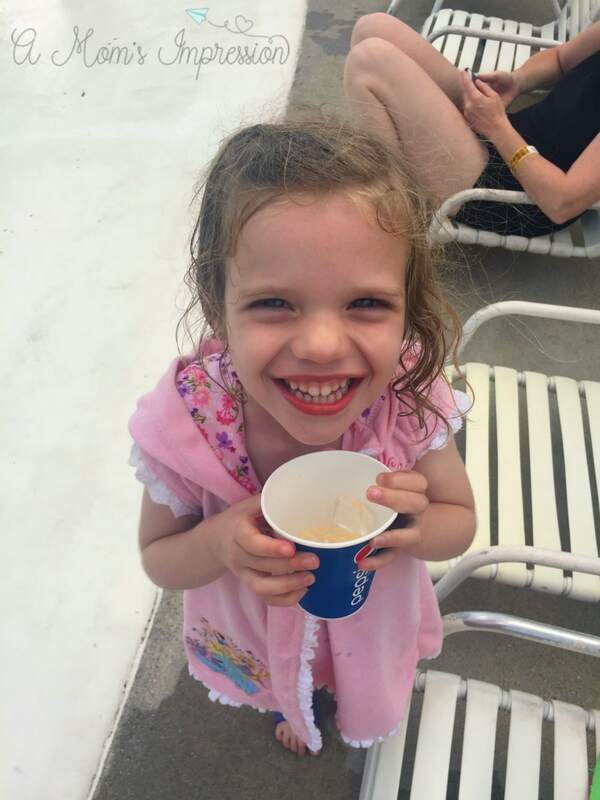 If you missed it, be sure to read our thoughts about Holiday World, the amusement park and be sure to check back next week to hear more about our stay at Lake Rudolph. For more information about Holiday World, including park hours please visit their website.